Toby digs his digger, at least according to the builder of this nifty little MOC. Inspired by D-Town Cracka's Friends Vs Fabuland Category of the 2013 Military Build Competition, it's both cute and imposing. 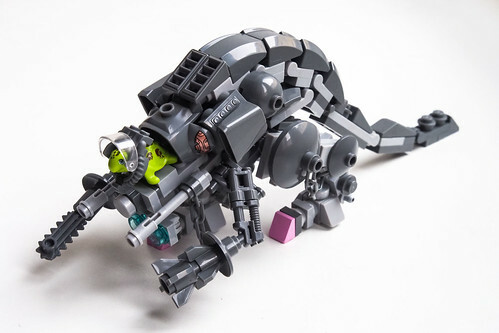 I like the humor combined with deadly looks, but what really impresses me is that this is built from what Flickr user Galaktek describes as a "travel LEGO kit". I can truly relate, having had to do the same thing several times. The limited stock is both frustrating and challenging at the same time, but some great building can be accomplished.